Do you want to move to Hillard? Well, you are not alone. More and more people are making Hillard their new home as evidenced by the increase of population from 28,435 in 2010 to 35,935 in 2017. But, if you want to be among the smarter ones, and not make your relocation unnecessarily difficult, you best hire some movers Hillard Ohio. Once you start looking for them, you will see that there are a lot of moving companies Hillard Ohio to chose from. And, as any experienced mover will tell you, not every company is capable or reliable. 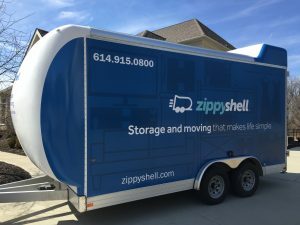 That is why Zippy Shell Greater Columbus Moving and Storage would like to tell you about all the ways in which we can give you a hand. With reliable movers Hillard Ohio, your move will be a breeze. You cannot move to Hillard if do not prepare. While last minute moving is possible if you have the right movers Hillard Ohio helping you, it’s always going to be expensive and difficult. What we would like to advise you is to use the time you have and prepare for moving wisely. The sooner you start the better you will realize just how many things go into moving and how much work is required to execute it properly. But, worry not. There are many ways in which we can help you out. The two assets that you are going to use for your relocation are time and money. And the wiser and cleverer you are, the better you will use both. Now, when it comes to time, you simply need to start as soon as possible. But, when it comes to money, you never know how much your relocation is going to cost. This is probably your first time moving to Hillard Ohio, so how are you supposed to know how much you need to pay. Well, we are here to tell you. Our representative will come over and give you all the information you might need. We will go over what goes into your move, as relocation can be done in many different ways. Then we will figure out how to make your plan as cost-effective as possible. It is hard to overstate how important packing is for proper moving. Not only do you have to make sure that your items will survive the journey, but you need to figure out how to inform the people that are handling your items on how to handle them. Therefore, it is usually a good idea to let professional movers Hillard Ohio, such as us, deal with packing. Our movers will bring all the necessary equipment and will make sure that your items are safely packed. That means that we will sort, wrap, pad and pack everything that you deem necessary to transport. We will gladly pack all of your possessions as we know how important packing is. Moving is a complicated project and you should only hire cable movers Hillard Ohio to deal with it. Especially if you are moving from a faraway place and need long distance movers. But, once you do find reliable movers, you need to carefully listen to their advice. As it is with many things in life, experience tends to trump research. And you can bet that our movers have had their fair share of moving experience. Our job is to make your move as easy and as cost-effective as possible. Therefore you should trust any and all advice that our movers give you while planning your move. Such advice will not only save you money and time but will also help you avoid catastrophic moving mistakes. Once you are done with preparing for your move, you only need to wait for moving day. And even though it lasts less than 24 hours, you are going to need some help. During the moving day, there are going to be a lot of things that need to be done properly in a limited amount of time. Therefore, you need to have competent movers helping you. Here is what we can do to make your relocation a complete success. This is the easiest type of relocation. If you are anywhere in Ohio and you would like to move to Hillard, worry no more. Simply give us a call so we can start planning your move and we will deal with the rest. We have been moving people around Ohio so much that we can actually do it blindfolded at this point. But, don’t worry, we won’t. What we will do is figure out how to make your relocation as efficient and cost-effective as possible. There are many factors that may influence the total cost of your move and the sooner you hire us to move you, the better. So, do yourself a favor and give us a call the moment you know that Hillard Ohio is the right place for you. 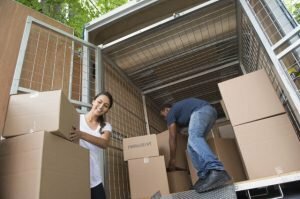 Now, while many moving companies Hillard Ohio can deal with local moving, long distance moving is much more complicated. It usually lasts longer and requires additional services. Plus, local moving is forgiving. Not every mistake that you make will end up costing you when your move is short. Well, that is not the case with long distance moving. Therefore, you need to approach this carefully and only hire the most reliable movers Hillard Ohio. With our long distance moving services, you can rest assured that all your items will be transported safely. We would just ask you to give us enough time to plan. Only competent movers can execute long distance moving. One of the most common additional services that are needed for long distance moving is storage. Well, whether you end up needing it for moving or not, it doesn’t hurt to know that we offer it. During your stay in Hillard, you may need to store your items. Once you do you will find out just how hard it is to find a proper, safe storage company. Well, if you work with us, you will not have to worry about that, as each long distance move includes up to 30 days of free storage. We know how important safe Columbus storage is. We, therefore, make sure that all of our units are given the necessary care.